Work up a sweat with Heather Kramer of Werq with Kids. 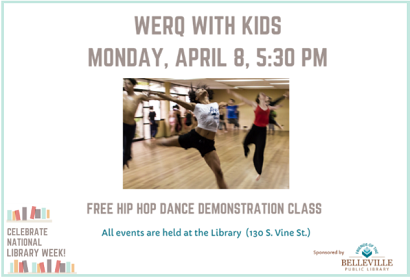 WERQ will present a free dance demonstration class to kick off National Library Week. Children under 8 must be accompanied by a parent.